A-HOTEL.com - Luxury and cheap accommodation in Andogskiy, Russia. Prices and hotel, apartment booking in Andogskiy and surrounding. Located in the city centre of Cherepovets, a 5-minute walk from Metallurgov Square, Apartment on Pobedy Prospekt features a self-catering accommodation with a fully equipped kitchen and free Wi-Fi access. The apartment offers an oven, stove, electric kettle, microwave, refrigerator, and kitchenware. Set 7 km from Ice Palace in Cherepovets, Apartment on Gorkogo 77 offers accommodation with a kitchen. Guests have access to free WiFi. 7 km from Ice Palace, Vesna Business Hotel is located in Cherepovets and provides free WiFi and express check-in and check-out. All rooms boast a flat-screen TV with cable channels and a private bathroom. Located in Cherepovets, 6 km from Ice Palace, Mini Hotel Anna has rooms with free WiFi access. Guest rooms in the inn are equipped with a kettle. Situated in Cherepovets, 6 km from Ice Palace, Hotel Metallurg provides air-conditioned rooms with free WiFi. Boasting a 24-hour front desk, this property also provides guests with a restaurant. 5 km from Ice Palace, Hostel Graffiti Cherepovec is located in Cherepovets and features free WiFi, express check-in and check-out and a ticket service. Staff on site can arrange airport transfers. Located in Cherepovets’s city centre, this hotel features free Wi-Fi and a 24-hour reception. Guests are offered rooms with air conditioning and a flat-screen TV. 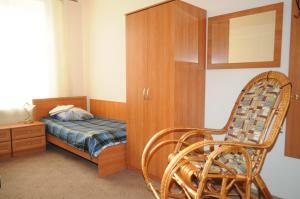 Featuring city views, Апартаменты в центре Череповца is set in Cherepovets, 5 km from Ice Palace. This apartment provides accommodation with free WiFi. Boasting city views, Apartments on Lenina 76 is located in Cherepovets, around 6 km from Ice Palace. This property offers access to free WiFi. Located in Cherepovets, 6 km from Ice Palace, Skandinavia Hotel has a number of amenities including a shared lounge and free WiFi. The property provides a 24-hour front desk. Featuring free WiFi throughout the property, Globus offers accommodation in Cherepovets. Each room includes a private or shared bathroom with free toiletries. Offering free WiFi and city views, Apartaments na Lenina is an accommodation situated in Cherepovets. The property is 6 km from Ice Palace. Free Wi-Fi and free on-site parking are offered by this cosy hotel in Cherepovets. Located 2 km from the city centre, Sobornaya Gorka Central Square is just a 15-minute walk away. Featuring city views, Apartments at the Lunacharskogo 18 is set in Cherepovets, around 6 km from Ice Palace. Guests staying at this apartment have access to free WiFi, a fully equipped kitchen, and a balcony. 47 бульвар Доменщиков is located in Cherepovets. The accommodation is 6 km from Ice Palace. Set in a 19th-century mansion, this hotel is located in the centre of Cherepovets. 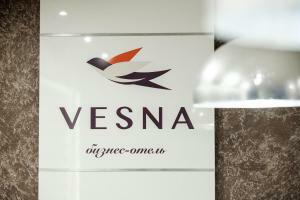 Free Wi-Fi and a 24-hour reception are featured at Voskresenskaya Hotel. Situated 5 km from Ice Palace in Cherepovets, Квартира на Московском проспекте offers accommodation with a kitchen. This apartment also features free WiFi. Located in Cherepovets, 5 km from Ice Palace, Apartment on Moskovskiy prospekt features a living room with a TV, and free WiFi. Guests staying at this apartment have access to a fully equipped kitchen. Offering comfortable rooms with free Wi-Fi, Hotel Vintage is located in the centre of Cherepovets, a 10-minute walk to the bank of the Sheksna River and Leninskogo Komsomola Park. Free parking is available. Featuring city views, Аппартаменты Московский 49 А provides accommodation with a balcony, around 5 km from Ice Palace. Guests staying at this apartment have access to a fully equipped kitchen.